Home / Blog / The best is a combination of beauty and appearance. The best is a combination of beauty and appearance. Difficult as a new trend, leading many people want to have a greater breakthrough in business, career, emotional to miniature club. We’ll talk about the facial features and contour are now what is the impact on our luck? forehead Including: the forehead to the hairline, Yintang, temples and other parts. Forehead： The center of the forehead is “Guan Lu Palace” (also called career), took a position above the hairline to the eyebrows; is the migration of “Palace”, on behalf of tourism; broad forehead and bright, plump, look good, can for career points, also said for going out for business or tourism, such as the forehead, dark complexion, is said the recent adverse travel. 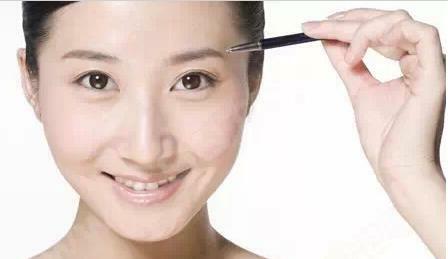 Glabellum: The middle of the two eyebrows Yintang “sign”, this part should be smooth, not frown lines. Temple： On both sides of the temple as “husband and wife” (also known as the house of marriage), here that “female depression is difficult to marry a good husband and wife to marry, male, poor financial management and easy life of toil. Upper eyelid： On behalf of the “house of home”, if the depression, or moles, scars and other defects, such people often move, the purchase of real estate should be particularly cautious, to avoid disputes or suffer. In addition, with age, will have eyebrows droop phenomenon, cause between facial features too close, physiognomy that eyebrow eye pressure is not good appearance, not only looks more melancholy, eyebrow eye pressure can compress your brothers and sisters of fortune, is usually not easy to set up real estate. The lower eyelid: Here on behalf of the children’s Palace “, if the lower eyelid has obvious pouch, or moles or polyps are not good appearance, easy to believe numerology and children missed, may affect the reproductive capacity, or there is a problem of infertility, age for less successful. Eyes, usually peach blossom, and feelings about. To improve the way: Eyelid surgery is currently the first list of hot plastic surgery operation, this is because the eye surgery can make people look more bright. If from the physiognomy, usually doubleeyelid people more emotional, single eyelids are relatively rational, cut the eyelid does bring peach peach, but there are good and bad, to see how individuals choose. Nose： Including height, nasal alar. Nose: the middle of the two eyebrows root (nose heel) on behalf of the “Jie Gong”, Yamane Taka said, in good health, the people are lack of self-confidence collapse, easy to be around others, not easy to charge job, short nose themselves business more difficult, not be able to work independently, instead of the nose Feng long people after the age of thirty, the fortunes of the road will be good”. People often put root level and sexual ability of the male Lenovo together, in fact it is because Jie Gong controls a person’s state of health, said the health of the high mountain, ability is relatively better. Nosewing： The main physiognomy that nose Treasury, the nose is a “money house”, usually rounded nose, nose not natural, more stable, optimistic personality, life someone help. Upturned nose is usually not easy to hold money. Face: The physiognomy in zygomatic tameomi, nose to the cheeks zygomatic monarch “, associated with power, always thought too prominent cheekbones women Sheng good heart strongly, so some women want to quebracho, will wear cheekbones low, let love happy marriage. Chin: Physiognomics chin is the “slave Palace”, on behalf of Fuyuan, the elderly, this part should be correct and full, not a person, usually a broad chin interpersonal relationship, they have optimistic, not to offend the characteristics of easy aggregation of network resources, and the upper is powerful, the work is a very good help. Chin depression, from the side view, the proportion of the face is not popular, the whole person looks like yes, without a sense of confidence. Ears: On behalf of the “Crawford house” in the face of the elderly, master Yun; generally have large lobes of blessing, but in fact it depends on its shape is long enough for balance, namely towards the direction of mouth, ear lobe looks very average, meat is rich, said the old good luck; if the ear small and flat thin, such people are usually elderly lonely, poor health.